Published: Sept. 14, 2016 at 11:20 a.m. Updated: Sept. 14, 2016 at 12:16 p.m. This season's first glorious week of football was stuffed with young quarterbacks besting modest expectations. Jimmy Garoppolo, Carson Wentz and Trevor Siemian all won their first NFL start, and Dak Prescott could've followed suit if Cowboys receiver Terrance Williams just followed Dez Bryant's instructions. This is not your usual crop of hotshot prospects, like the famed class of 2012 or the Teddy-Carr-Bortles-Manziel group of 2014. Unlike those gangs, these four new starters take over some of the NFL's most high-profile teams. Dak, Siemian and Jimmy G might feel like temps, but they are going to be splashed all over nationally televised games. And Wentz is the most likely to be starting in December. This quartet will help shape the early portion of this season, as the individual opening statements have us excited to see a lot more. This is the Quarterback Index. Starting after Week 3, I'll rank all 32 starting quarterbacks weekly, based on 2016 season play alone. Since there is only one game to evaluate so far, this week's top 10 is based on answering one simple question: Who would you want as your quarterback for the 2016 campaign? For years, we heard that "college offenses" can't work in the NFL because they expose quarterbacks to unnecessary punishment. Then Cameron Jerrell Newton came along. The Panthers built their offense in part around Newton's ability to take and deliver hits. Coordinator Mike Shula was still calling power runs for Newton in the season opener after the reigning MVP was shaken up from hits to his ankle and head. You can question the long-term efficacy of this strategy, but it's working quite well in the present. Newton and Shula have grown up together and this is Newton's offense more than ever. 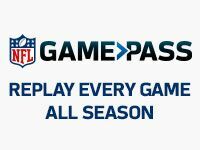 Watching Cam's underrated performance against the Broncos on the NFL Game Pass Coaches Film, I started to wonder if Newton could possibly improve on his MVP season. He played a mature game, making almost no mental errors. His accuracy from last season remained. After a near-perfect first half, Newton overcame a total collapse in pass protection to position the Panthers for victory. It's almost taken for granted by now that one man could be the axis of the passing game and the running game at the same time. Not in this file: Cam jumps from No. 2 in last week's edition into the top spot. The revolution will be televised again, this Sunday afternoon against the 49ers. There were some strong early signs in Jacksonville of an Aaron Rodgers rebound season. He somehow looked faster than a year ago and was afforded terrific protection. Combine those two factors and he's bound to make magic happen, even when his receivers are initially covered. We now expect Andy Dalton to deliver in difficult situations. This new normal was tough to imagine a year ago, yet his cold-blooded response to a first-quarter beatdown from the Jets' defense no longer feels like a surprise. Despite all the defectors from Cincinnati this past offseason (Hue Jackson, Mohamed Sanu and Marvin Jones), the Bengals know this offense revolves around Dalton. He has more responsibility and the scheme continuity allows the Bengals to change their stripes week to week, like a poor man's Patriots offense. Just look at the team's ability to insert unknown third-string tight end C.J. Uzomah, rookie Tyler Boyd and former Pats receiver Brandon LaFell so seamlessly into the offense. Dalton deserves credit for making it all work while showing toughness after 300-pound men (Leonard Williams, Steve McLendon) repeatedly planted him into the turf. Once a weak deep-ball thrower, Dalton is more effective letting his receivers go after jump balls. That's easier to do when you have A.J. Green on your side. Andrew Luck's destruction of the Lions during the final 35 minutes was revelatory in its complete lack of surprise. There were fewer "wow" plays than most Luckplosions and fewer head-scratching throws. Instead, there was the cold calculation of a veteran, a select few deep shots and a comfortable pocket to throw from. It's been a while since we could say that about a Colts game. Coach Chuck Pagano would love it if Luck traded some "fun to watch" points for efficiency. It was an ominous week for three quarterbacks trying prove there are second acts in American life. Ryan Fitzpatrick didn't look so different than his 2015 career year. There were wild runs up the middle destined to end with a standing ovation or a decapitation. There was a jump-pass and a dropped interception. There were some money throws up the seam and the subtle lack of trust from his coaching staff when the Jets ran on a key late third-and-3 in the red zone. It all felt a little out of control and unsustainable. Fitzpatrick has made a career out of irrational confidence. Perhaps he can lend some to Kirk Cousins, whose quarterback-by-numbers approach results in third-down throws short of the sticks. Cousins' mind appeared to be racing faster against Pittsburgh than his throws. Tyrod Taylor and the Buffalo offensive line also struggled to diagnose where pressure was coming from. The Bills' first drive of the season lost eight yards. Their last drive Sunday, down six points in Baltimore, saw a delay of game, a sack and a punt. Buffalo lost too many downs before the snap, which happens to a lot of offenses led by young/inexperienced quarterbacks. Taylor needs to grow up fast. The coaches of Carson Wentz, Dak Prescott and Trevor Siemian were careful not to put too much on a young quarterback's plate. Wentz had the benefit of the perfect matchup, but some of his throws had nothing to do with the Browns. The rookie delivered four to five passes down the field into tiny windows, showing heat or a soft touch depending on the toss. As Chris Wesseling noted, the performance was reminiscent of Robert Griffin III's electric rookie year. Wentz was accurate, took some big hits and showed a knack for hitting the few big tosses he was asked to make. The Eagles would love to remain a run-first offense all year to help preserve Wentz. Prescott had even more working in his favor. His protection against the Giants was spotless, which significantly assisted the decision-making process. Still, Prescott has received a lot of credit for a performance where he completed just six of his 17 fourth-quarter passes (for 66 yards) in a one-point loss. His smooth running and obvious skills call to mind Donovan McNabb, but Dak will need to show a willingness to push the ball down the field. The Giants' defense loaded up to stop the run and dared Prescott to beat them. Siemian displayed many of the same strengths and limitations of Prescott. They are both mobile, can throw a pretty deep-out and show impressive calm in the pocket. (I've vowed not to use the word "poise" for the rest of this decade. Wish me luck.) The difference between the two players: Siemian is backed up by the Broncos' defense and won't have to throw the ball 45 times. I didn't realize how much I missed Joe Flacco until dialing up the Ravens tape this week. There he was throwing the ball 30 yards while being chased backward. There he was changing the play at the line of scrimmage to a bomb to Mike Wallace for a long score. While Flacco was reluctant to run in his first game back from a torn ACL, there were three to four throws that few quarterbacks could make. I chart bad passes, exceptional throws and near interceptions. Flacco is the type of quarterback who fills up all three categories. Go big or go home. Drawing conclusions after one week is fool's gold. Marcus Mariota should have a terrific season, but his Week 1 performance against Minnesota was a reminder that he's still 22 years old. Mariota had a typically fun, clean game through nearly three quarters until a ghastly pick-six in a play he refused to quit on. It happens. The alarming part is what came next. Mariota suddenly couldn't shoot straight and looked jittery in the pocket in the fourth quarter. He admitted that his indecision contributed to a fumble on a handoff to DeMarco Murray that produced another defensive touchdown for the Vikings. The site Music City Miracles put it well: The Titans' offense needed less exotic and more smashmouth. The fancier the play call against Minnesota, the more disjointed the Titans' offense looked. With a run-heavy approach and still too few vertical shots, the pressure is on Mariota to limit mistakes. It's only one game and Mariota has the right matchup in Detroit this week to turn things around.